Heat oil in a pan. Add shahi jeera to it. 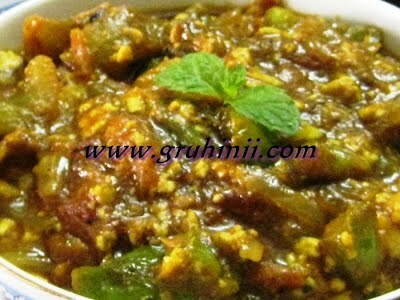 When it starts spluttering add chopped onions and green chillies. Fry onions until they become translucent. Now add ginger garlic paste. 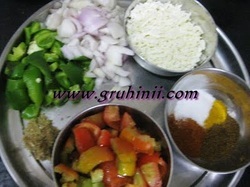 Stir fry and add red chilli powder, haldi, sugar and dhaniya powder. Fry for few sec. 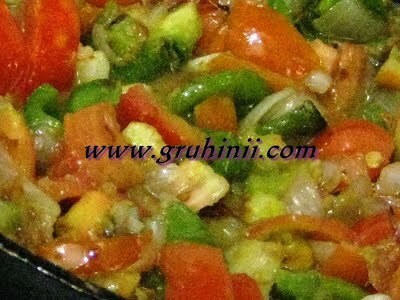 and add chopped capsicum, tomatoes and salt. Cook in a medium flame. 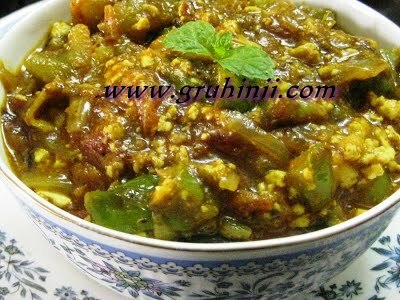 When the tomatoes and capsicum are properly cooked add grated paneer and mix well. Add garam masala powder to it. Stir fry and add half cup of water. Cook for few more mins and switch off the flame.